Registration payment of $50 per person must be received before your registration is final. However, registration in a Colloquy should not be a financial burden. If you wish to have your registration fee waived, please indicate this when you send in your registration, or write us at the address below. You can pay for your Colloquy online at PayPal with a credit card or PayPal account or you can send us a check. To pay with a credit card, use the “Pay Now” link, but make sure to choose “Don’t have a PayPal Account” when you arrive at PayPal (see a visual about how to do this). 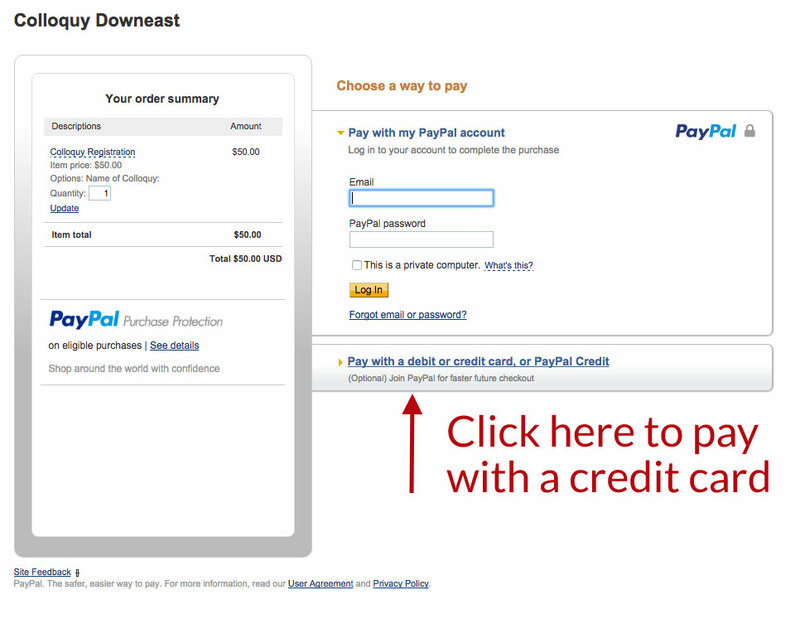 To pay using your PayPal account, enter your PayPal login information after being redirected to their site.